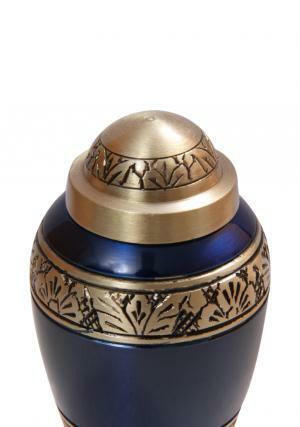 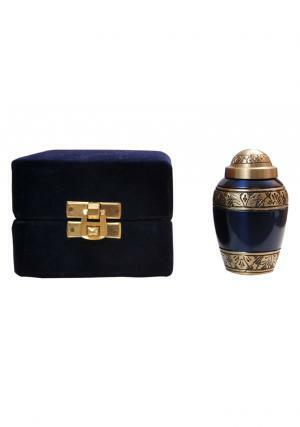 Gorgeous blue brass keepsake urn is a unique design to carry small amount of ashes after the cremation. 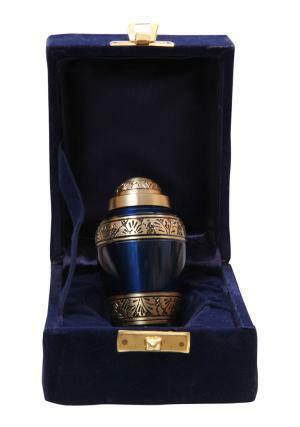 The mini brass memorial urn is coated in royal blue with engravings of floral representation which are banded at the top and bottom. 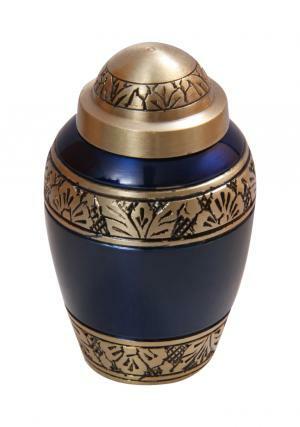 The design on the mini funeral urn is decorated by skilled professional with uniqueness in perfection of making the urn. 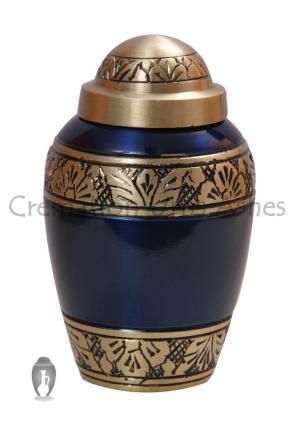 Little urn has top lid presented in brass flowering with an built threading to secure ashes in the mini cremation urn and weighs total to an approximation of 0.12 Kg. 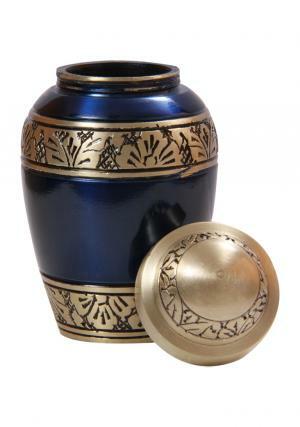 The keepsake funeral ashes urn measures 2.85” inches tall and 1.77” inches in width capable to carry 3 cubic inches or 3 tablespoons of ashes.